Acupuncture is a system of healing which has been practised in China and Japan for over 3000 years. Acupuncture involves the insertion of fine sterile (single use) needles into the skin at specific points along what are considered to be lines of energy (meridians). Neuroscientists equate meridians to the body’s electromagnetic field. Acupuncture helps the body release endorphins (the body’s natural painkillers), relaxing muscle spasms, re-balancing hormones, reduces inflammation and stimulates the body’s healing response. Acupuncture is recognised by the World Health Organisation in treating a wide range of health conditions, relieving pain and promoting good health. The National Institute for Clinical Excellence (NICE) also recommends Acupuncture as an effective treatment for lower back, osteoarthritis of the knee, to enhance fertility and for the relief of migraines. Acupuncture is used in many NHS general health practices as well as the majority of pain clinics and hospices in the UK. For those who have a fear of needles, Acupressure can be used as an alternative treatment. 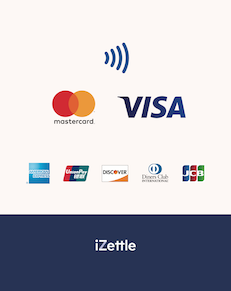 Over the last 19 years I have treated people of all ages & backgrounds who have had a range of the above conditions. One of my specialities is working with individuals who are experiencing stress & anxiety. With these individuals I may recommend a combination of Acupuncture & Hypnotherapy or Acupuncture & Counselling to help relieve and manage their stress & anxiety. I did my initial training in TCM Acupuncture at the Northern College of Acupuncture in York and then went on to do further study at Middlesex University in the Chinese Classics and Acupuncture. 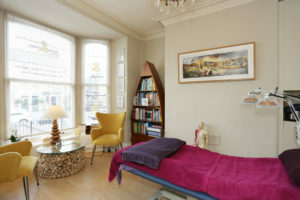 Since qualifying I have regularly attended courses in Acupuncture for Mental health problems, Acupuncture to increase Fertility & IVF support, Cosmetic Acupuncture, Fire cupping, Tongue Diagnosis for Digestive problems, treating teenagers & children with Acupuncture and Needling techniques to keep abreast of recent research and developments. 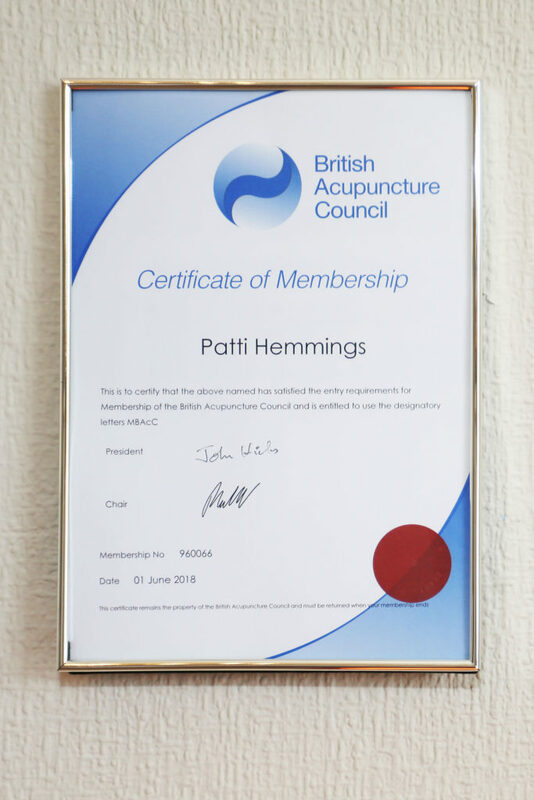 I am a full member of the British Acupuncture Council and registered with Harrogate Borough Council as an approved Acupuncturist. I am currently in the process of joining Acupuncture Fertility Network.